Andy Wooler's latest attempt at a blog! I was very lucky this week to catch up with Andy Wooler. Andy is the Academy technology Manager at Hitachi Data Systems and one of the most experienced people I know when it comes to learning management technology. I was keen to get Andy’s take on how learning technology is developing. Andy is always looking outwards at new technologies and their potential application for learning. What I particularly like about Andy is that he cuts through the hype and has a good sense for what will really work inside large corporates. This is what he had to say about current trends. Has the death of the LMS been exaggerated? Despite predictions about its imminent demise the learning management system (LMS) continues to evolve and thrive. The LMS will continue because it covers all the learning processes we need to manage, particularly in a regulated industry. However, the LMS will become less visible to learners. The LMS functionality will sit behind the scenes and we will surface the functionality and data at the point of need. In the old days we had a SCORM compliant LMS (the learning tracking standard developed originally by the US military) and we produced a lot of SCORM based content. These days learning blends have a rich range of content including video and a wide range of resources such as blogs, slides and social networks. You need to be clear what you need to track. There is an increasing body of content we don’t track in the LMS. We use a lot of video based content which we surface on platforms such as Jive where it doesn’t need to be tracked. What does this mean for learning design? I think it is a challenge for learning designers. How do you bring in collaborative elements and how do you adapt the learning. In my view the future is adaptive learning. For us this means producing less scorm based content and creating more learning in an adaptive learning tool. Adaptive learning tools continually assess the skills and competencies of staff and then adapt learning delivery accordingly. I think this is key as it is about making learning and knowledge fit the individual learner. We are using adaptive technology from Area9 to assess how much the learner knows at any given time, and which adapts the learning accordingly. In my view the future of learning design is adaptive and personalised learning. What will be the impact on tracking and reporting? Tracking how many people have completed a course can mean very little. What we really want to know is the current competency and skills of our staff. With our adaptive learning we are continually assessing staff competencies and skills. We use sophisticated assessments, for example we also ask on assessment how confident learners are of the answers they have provided. How sure are you of the answer you have given. I think xAPI has a huge role to play. The LMS of the future needs a learning record store (LRS) and the ability to integrate data. Learning should be linked to an individual’s competency and skill. I can see use cases such as for software engineers inserting a Tin Can statement into the executable file of the software they install which will then bring back data from their actual performance such as time taken errors logged etc. Thus using xAPI we may be able to track not simply learning but performance that can be mapped to their learning needs. On data analysis there has been a lot of talk of big data but in reality it is not about big data but making best use of the data we have. To me it is important to get the data out of the LMS and analyze it in a data warehouse. We can then look at correlations with other data for example learning and sales data, can we see if learning increases sales. By combining data sets in data warehouse we can look for actionable insights to improve our performance. Absolutely, I don’t want anyone to see the user interface for the LMS unless they absolutely have to. What we need to do in the future is pull content and data from the LMS using an API which allows us to surface it on different platforms at the point of need. For example, content could be launched from a deep link from a QR code on a piece of machinery. It gets accessed at the point of need. The learner really doesn’t care if there is an LMS. We care as learning managers as we need to manage a range of processes and track the impact of learning. The key though is delivery of learning at the point of need, using APIs and single sign on. Thus we need to be able to surface content and data on other platforms as required. Reproduced by kind permission of Steve Rayson. This entry was posted in Uncategorized and tagged Content Development, learning, LMS on July 4, 2015 by admin. It was a real pleasure recently to be interviewed by my former boss, Steve Rayson, for an “Expert Interview” on the Totara blog. And this theme of the “Invisible LMS” has been behind a number of conference presentations I have made recently – most recently for a workshop as part of the Learning & Skills Summer Forum at Olympia. What do I mean by this “Invisible LMS”? Put simply, it is the idea that we should be taking the learning to the learner and not taking the learner to an LMS interface which he often doesn’t understand! The learner really doesn’t care if there is an LMS! We care though as learning managers as we need to manage a range of processes and track the impact of learning. How to achieve this was the topic of the Olympia workshop. Of course, you can spend a lot of money customising the user interface of your LMS and I have seen some great examples of this. But there are other ways to improve the user experience other than playing around with the LMS interface – just remember, the user often doesn’t want to have to go there in the first place! The major LMS vendors will have the ability to provide links that take you straight to the content. For elearning courses, this should launch the course without the learner having to find it and register for it. In it’s simplest form, this could even be a simple Excel spreadsheet with a list of courses with their hyperlinks! This technique was used very successfully at one of my previous organisations for the roll out of Sales Training Curricula and completion rates were the highest we had seen! (and the idea for this came not from a learning technology guy, rather the manager responsible for sales training!). Another potential use is of course Social Media. If you have seats free on an upcoming course, why not use Twitter to try and drive more course registrations? The applications of this technique are many – think about where the learner goes on a regular basis and the times and places they might need access to your content. QR codes are another good way to surface content – imagine an engineer arriving on site to fix a piece of equipment which he hasn’t seen for a while. He opens the faulty item and finds a QR code taking him straight to some video content from the LMS which guides him through the process on his smartphone. Is this learning or performance support? I can tell you that the engineer will not care if it helps him complete his task! 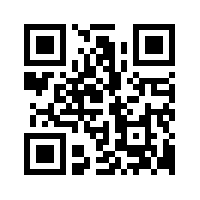 Right now you might be thinking “how do I create a QR code”? Here’s the answer! Think also about the value this could add to printed course materials – it’s great to show a video in the class but wouldn’t it be great if the learner could access that from the handouts as well? Or perhaps have additional verbal explanation on a topic using an mp3 file that the learner can access on their mobile device direct from the printed page? Are my Certifications up to date? On our Intranet – if you are very lucky! These are all places where web services can be used to bring personalised information on current enrolment or Certification status together with access to an easy course finder. All without visiting the LMS UI itself. Of course, we enable LMS notifications on all of these too – but how many get really noticed? In my current organisation, we have already enabled a view of the current enrolment status within our Customer Support portal and plan to extend this to more services soon. We also have a course finder app on our main .com website and display the current most popular courses in our Customer Community. All without the user visiting the LMS. The final barrier to the LMS! The separate user id and password can be a barrier to getting your users into the LMS and single sign-on is the answer to this. Whilst the use of deeplinks is possible without SSO, removing the intermediate step of logging in totally hides the existence of the LMS interface and completes the move to the “Invisible LMS”! The views expressed here are those of the author and not of any current or previous employer. This entry was posted in Uncategorized and tagged learning, LMS on July 4, 2015 by admin. Making sense of your data – the results! I did promise to share some outputs from my 2 recent sessions on data and xAPI at the eLearning Network, London and Saba’s @WORK2014 Summit in Orlando and what better place to sit and reflect than a beach in Bermuda! 1/3rd of orgs have a data warehouse for learning data. Some of those are part of a shared repository with HR. The bulk of the data stored (apart from HR data) is SCORM or AICC based. Internal forum posts (already being collected by at least one organisation). Internal SoMe activity streams (already being collected by at least one organisation). Continuous Professional Development (already being collected by at least one organisation). What people are reading (books, blogs, websites). What apps people are downloading. What happened next in your career to correlate to your training history. Where people go when they leave your organisation. What are they talking about in your internal and customer communities. What they are searching for in those communities. Which untracked elements of a blended solution did learners consume. Much of this data will not only be new to us, much of it will also be unstructured and possibly machine generated too. xAPI – I believe that xAPI (or Tin Can) will be a game changer in proving valuable data. The ability to use basic statistics. Understand how marketing people analyse what works – this could be helpful. Recognising BS when you see it! The first bullet here is, I believe, very important. xAPI is an opportunity for us to bring in data we have never had before and also, to move away from the concept of a course as being an event and moving to the holy grail of continuous learning. If a course has no ending, how can SCORM possibly be of any use? SCORM is about completion and has little or no role to play in a world of the “never-ending course”. However: only approx. 1 in 40 confirmed they have a “Learning Record Store” (LRS), which is a vital part of the xAPI standard and something that is sadly missing from many LMS’s today. Of course, that may well be a reflection of the current position where most are still trying to understand what all the fuss is about. There are though some very simple applications of xAPI which could be useful right now. In my sessions, I referred to the basic concept that xAPI is as much about taking data OUT of the LRS as it is about getting it in. My good friends at Transition Associates have done some great work in utilising xAPI statements within a standard Lectora Publisher SCORM based course. Their scenario is simple: Lectora includes a game based on the “Who wants to be a millionaire” TV game show. What they do with xAPI is to send back your score on the game and bring back the current leaderboard which adds to the gamification possibilities within a standard SCORM course. Smart! Check it out here: http://www.transition.co.uk/blogs/e-learning/2013/congratulations-are-in-order! Finally, I gave out some homework for after the event! During both sessions, I referred to a new book compiled by Elliott Masie which is full of great articles by leading learning luminaries such as Donald Taylor, Tom King and Nigel Paine. My thanks to Mark Berthelemy at the eLearning Network and Jan Sysmans at Saba for their support on these presentations. This is a topic you will be hearing a lot more about at learning events and I hope that this blog will at least encourage you to keep a close eye on data and xAPI in particular! This entry was posted in Uncategorized and tagged analytics, big data, data, learning on May 1, 2014 by admin. In previous posts, I have look at how organisations can learn from the world of music. But what about L&D? One of the great things about the world of music is that it is no stranger to technology! I’ll start with a relative newcomer to the scene: “Playground Sessions” is a new web based music service co-created by music legend Quincy Jones – if you think don’t know who he is, you will have heard his work at least as a producer of the best selling Michael Jackson album “Thriller”. I like the approach of using collaboration with peers in this – sharing your work with fellow pupils and of course, the adoption of badges. Of course, one of my music posts won’t be complete without a “Yes” reference! And this time, it’s their amazing guitarist, Steve Howe – Steve has recorded a series of YouTube videos showing you both hands so that you can watch his technique and also see the chords he is using with the inset of the fretboard. My next site gets included for it’s mobile support – www.musictheory.net is a great on-line resource that provides the key things you need to learn: opportunity to put the theory into practice, exercises with instant feedback and lots of performance support via a set of handy tools. And is there an app for this? You bet! There are 2 apps on iTunes to enable you to learn on the move. He shows you how to play it, and does so slowly as well! Downloadable backing tracks to enable you to practice this with a real band! If only our in-house compliance training could be this engaging! So, next time you get to one of Peter Cook’s “The Academy of Rock” events, you will be able to take your guitar and join in! These examples work because they allow the student unlimited practice with repeatable demonstration of the “how” and for most of them, instant feedback. All things we should see in a good learning programme in our own organisations. This entry was posted in Uncategorized and tagged learning on April 19, 2013 by admin. I had the pleasure last week of speaking in a panel discussion with Charles Jennings & Barry Sampson on the LMS at the Learning Technologies Conference in London. The first thing that will surprise some is that fundamentally, we all agreed! You cannot “manage” learning using a system! What an LMS does incredibly well though is to manage the processes around learning – and this for me is vital in any business that has a regulatory or other compliance requirement. What confuses the issue here is the terminology used to describe the systems we use – if it’s not “managing” learning, then should we really still be calling it an LMS? 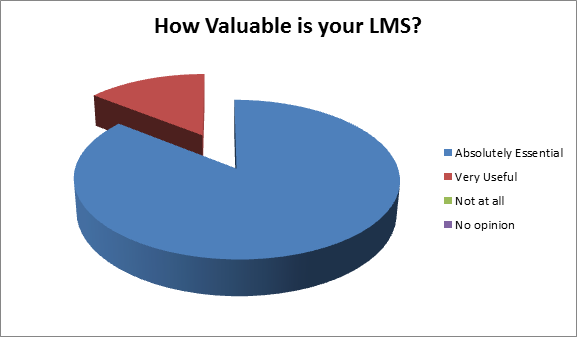 The term LMS conjures up a very specific image for many – and that image is sadly often based on what these systems were like 10 years ago! I have to say that for some people, the LMS evolved whilst they weren’t looking! Now I know there are those who will tell you that you don’t need these tools in your LMS and that you should be using those openly available – such as Twitter & Yammer. And of course, I use both of those and more! However, it’s not always as simple as just setting up a free Yammer account especially if you are regulated! At least one regulator would not be happy that you cannot control user access to the free Yammer environment for example and there are other requirements relating to security testing for any data held outside the organisation. 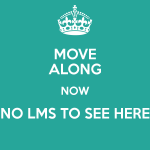 Perhaps the real meaning of the term LMS is Litigation Mitigation System! How valuable is your LMS in ensuring you can provide supporting data about the competency of your people to your regulator? How would you collate the information you need if you didn’t have an LMS? by spread sheet and rubber bands! Spreadsheets or forms on Sharepoint! Manually by a myriad of Excel docs no doubt! If you didn’t work in a regulated industry, do you still think that you would deploy an LMS? In your opinion, will Social Learning tools ever make your LMS redundant? The last LMS I deployed had all of these of course! And the final statistic: 69% want to roll out new IT systems – I wouldn’t be at all surprised if a lot of “LMS” Vendors are getting a slice of that too! This entry was posted in Uncategorized and tagged learning, LMS on February 3, 2012 by admin. Not a lot of difference really – what these statements do highlight is that the success of what we used to call “Communities of Practice” and the newer “Social Networks” is all about like minded people being involved. We used to say in the eLearning world that “Content is King” – in the world of informal learning, the King is dead and there is a now a new King on the block called “Context”! 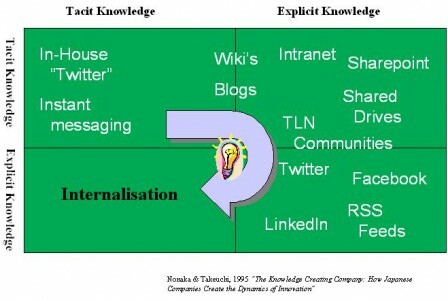 But where does Knowledge management fit into all of this? Some of you will believe that KM is the domain of the IT Community. Others will think of it as being owned within the Corporate Communications team. But the reality is that ensuring there is a culture that encourages the free sharing of knowledge is a People problem – IT systems are simply enablers. Those of you that have read Nonaka & Takeuchi’s 1995 work “The Knowledge Creating Company: How Japanese Companies Create the Dynamics of Innovation” will be familiar with the “Knowledge Spiral”. The challenge here is to capture Tacit Knowledge and move this around the organization, enhancing and improving at as it matures and creating new knowledge from the combination of what we know now with new information from outside of the organization. Many of the tools that are frowned upon in some organization can actually be of real benefit here, especially when looking to add to what we know from new and often external sources. The sharing of tacit knowledge does of course happen – often known as the “water cooler culture” and of course, Web 2.0 brings a new dimension to this with sites such as Twitter being used very effectively for sharing knowledge – and now, not just 1-1 but 1-many. For those of you who work in the Learning & Development world, the weekly LRNCHAT on Twitter is an absolute wealth of useful information! (TLN Communities are internal Communities at L&G – this could equally be a Yammer Community for example). At the heart of this though are the communities or social networks – and if you hire me, you hire my network at no extra cost! At Legal & General, we implemented an LMS that included Community features and this gave us an advantage in that the LMS can provide the context that is vital for communities to thrive! Most of our communities were in fact formed without any corporate-led initiatives and were the result of staff seeing what others had done and understanding the art of the possible. The video on “Wikis in plain English” from www.commoncraft.comhas been widely used to show how you can use a Wiki for more than just an on-line encyclopaedia! It was the use of communities for distributing meeting agendas and managing meeting minutes that fired up many of the newer groups. One group in particular decided to use a Wiki instead of email for gaining sign-off on critical documents. Instead of the process taking a week as the emails went around, they have achieved sign-off in ½ day! Of course, not all communities will thrive – and some will have a natural lifespan as either the people or the topic moves on. One example we found was a community called “Blue Sky Thinkers” – you might be tempted to think that was a great idea to have a community especially for people who want to be innovative. Sadly, that wasn’t the case! The community was setup and nobody came. This was further proof for me that if there is no context for a discussion to take place then it won’t! Context really does make a community work. Personal knowledge management skills so that they can make sense of, and learn from, the constant stream of information that they encounter from social channels both inside and outside the organisation. Collaboration skills so that they can share their knowledge as well as work and learn productively and purposefully in teams, communities of practice, and social networks. But this isn’t just about enabling our people – every night, all of our tacit knowledge walks out of the door and we hope that it all comes back the next day! In these days of rightsizing and outsourcing, that isn’t always the case though. Add to that natural turnover and retirements, and this could mean that over the next 5 years, some 50% of the current implicit knowledge held by our people walks out of the door and doesn’t come back. Ever. It doesn’t have to be this way though! If we get the culture right and encourage our people to share what they know, we can capture more of this knowledge whilst they are still here. If we implement a culture of trusting our people with the Web 2.0 tools such as Twitter, Blogs and Facebook, we may still have access to them after they have gone. “Our challenge is to process data into information, refine information into knowledge, extract from knowledge understanding, and then let understanding ferment into wisdom”. And that timely discovery is exactly what we are looking to achieve with the sharing of information and data. But of course, data analysis isn’t new! What is perhaps new for many is the variety of data types & sources that are now in the mix – you can see from the different sources of information shown in the diagram above that we have not only text but the social media elements such as video & audio in vast volumes from external sites to make sense of as well. Communities that are created dynamically based on these and other criteria – you don’t have to look for the group, the group finds you! I don’t believe that this can be as effectively done outside of the HCM space as the source of the data to support this sort of dynamic environment exists in one place – your Human Capital “eco-system” of LMS, HRMS, Talent & Performance systems. At a recent industry conference, Thomas Otter, formerly Research Director for Human Capital Management at Gartner, suggested that we should “Work on your strategy for social software in HCM and Learning now.“ I have to agree fully with this viewpoint to avoid being second in the race behind IT and/or Corporate Communications! If this truly is a “People Problem”, then it requires “People Solutions” to fix it! This entry was posted in Uncategorized and tagged knowledge management, learning on March 29, 2011 by admin. Corporate Learning at a Band Contest?!! A few weekends ago, I had the pleasure of attending the Butlins Mineworkers Brass Band Contest held in chilly Skegness! This post though isn’t about the music but more about the contest as a metaphor for what we in Corporate Learning teams are trying to do. A band, like an Orchestra, consists of a number of different sections, all of which need to work together to achieve the best performance. But, like any Corporate, they need direction. And that direction will vary depending on the man in the middle – think of the Musical Director/Conductor as a CLO (Chief Learning Officer), directing the different divisions to work together towards the central goal. In the case of the band performance, that goal is simple: Perform the musical work according to the interpretation that the MD is giving. If only all goal setting was as clear! The history of the brass band in the UK is interesting – band players would have traditionally been less likely to attend a music college or university (although that has of course changed) and one of the ways they developed was by healthy competition, hence the concept of the brass band contest. For bands though, there is just the one performance assessment – and inevitably, there is much discussion after the event as to whether or not the judge was right. Some people do go for a 360 assessment and these were much discussed in the bars of Butlins over that weekend! This was truly a weekend of great teamwork – be that in the rehearsals, the final performance or the post contest activities. My thanks to Matthew and the team for the opportunity to work with them at this event. There are some interesting comments here on further musical metaphors. This entry was posted in Uncategorized and tagged learning on February 1, 2011 by admin. In short, a way of getting content of various kinds onto a mobile device such as an Android or iPhone simply by using the phone’s built in camera! Making item specific learning available at the point of need – imagine having the user manual for that complex telephone on your desk available simply by pointing your handheld at the QR code! Adding the ability to listen to an MP3 version of a printed document for the visually impaired. Creating them is easy too – there is a great free tool at http://www.qrstuff.com/ which will create links to websites, your social networking profile, vCards, vCalendar events and even simple text. An alternative site which gives free high resolution images is http://app.qreateandtrack.com/#/create/url – you will need high resolution if you want the QR code to be displayed on some printed items. This entry was posted in Uncategorized and tagged learning on January 7, 2011 by admin. Well, what a way to start the day – a highly entertaining keynote from Gary Whitney from the Intercontinental Hotel Group. The last point was very amusingly demonstrated by the use of the video below – this came back to haunt us later that day during dinner when Jeff Carr started the dance in the restaurant! Next up, the Saba Customer Excellence Awards – I am delighted to report that Legal & General were awarded the Collaboration & Social Media Power Award for our use of the Saba Collaboration tools within Saba Learning. This is another well deserved tribute for the team – well done team! Qwiki – this is a really cool way of delivering content – go visit the site to get the true experience of this. Pure genius! Get your customers to add themselves to a web based CRM system – from the people who bought you webs.com, this is contactme.com. A moving story which led to the creation of 1000 Memories.com, a place to remember loved ones. Next session up was my own session – I’ll be devoting a separate post to cover my material for that shortly. Detect and fix – regress SCORM to find errors. David Koehn of Saba was predicting that there will be less formal learning but it will become higher value. To finish the day, another great summary from Peter Olguin. This entry was posted in Uncategorized and tagged knowledge management, learning on November 8, 2010 by admin. It’s always a re-energising experience attending a conference and this one was no exception! The event started off on Monday with a “Town Hall” meeting of the global Saba user group – most of this discussion was around support related areas and was a good first opportunity to meet other customers. This was followed by 2 separate special interest groups – I went to the Collaboration group which was well attended and resulted in a decision to keep the group active using Saba Live. If you haven’t yet seen Saba Live, perhaps this video might give you a clue as to what the fuss is all about! The day ended with a networking event and a session with the EMEA team and fellow EMEA customers – we already have a good informal network in the UK so this was another opportunity to catch up! Gary’s presentation will be available on the Saba Live Customer Community along with all the others from the event – recorded using Saba Centra. More about Gary’s thinking can be found on his blog: http://www.garyhamel.com/. My next session was also about collaboration – Saba made a great hire in poaching Jim Lundy away from Gartner where he led the Social Software & Collaboration team. Much of this session focussed on an area that I have been talking about for a number of years – the power of community conversations to power innovation. This aligns very closely to my own thinking on where Knowledge Management meets Learning and was a good omen for my own panel session with Jim later in the day. 3 functions now JSR286 – include Search, In progress learning & Approvals in any JSR286 compliant portal. Saba Anywhere – off-line player which doesn’t need a special off-line version of the course to be created. They have hired some former Google staff to improve the search function. Next up was a customer presentation from Hitachi Data Systems – some good examples of how they have used Web Services to “Make Saba their own”. One example is how they use this to extract data into an interim database which then feeds into a Business objects Universe or similar. Q: What is the business case for collaboration? The evening ended with a customer appreciation event at the Museum of Science featuring a live performance by Fitz and the Tantrums. (They have a free mp3 download on the site!). One highlight of the evening for me was the opportunity to meet again with Mike Fitzgerald, formerly Global Head of Learning for RSA, who was responsible for recruiting me into a role in the eLearning space – I remain in his debt for introducing me to the best jobs I have had in my career! Another old friend, Peter Olguin, from Deloitte was making a video diary of the event – his day 2 summary will give you a flavour of the event! This entry was posted in Uncategorized and tagged knowledge management, learning on November 7, 2010 by admin.